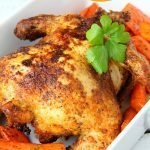 Chicken Dry Rub – Whether you’re grilling, roasting or air frying chicken, this dry rub adds winning flavor each and every time! Have you ever taken chicken out of the freezer to thaw and wondered what the heck to do with it? I mean, there are SO many things you can do with chicken, but sometimes, you just aren’t feeling the creativity. You just want to bake the chicken and eat the chicken. Right? Or is that just me? Sometimes I just need. . .easy. Don’t you, too? That’s when I bring out this Chicken Dry Rub. It’s a mixture of several different seasonings that when combined, just sing. And all I need to do, is. . .well, rub it on. 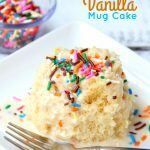 I actually found this recipe on Food.com awhile ago and just had to try it out. Let me tell you what. It’s a winner. I use this chicken rub for chicken breasts, chicken parts and whole chickens. You can use it when roasting chicken or baking chicken. 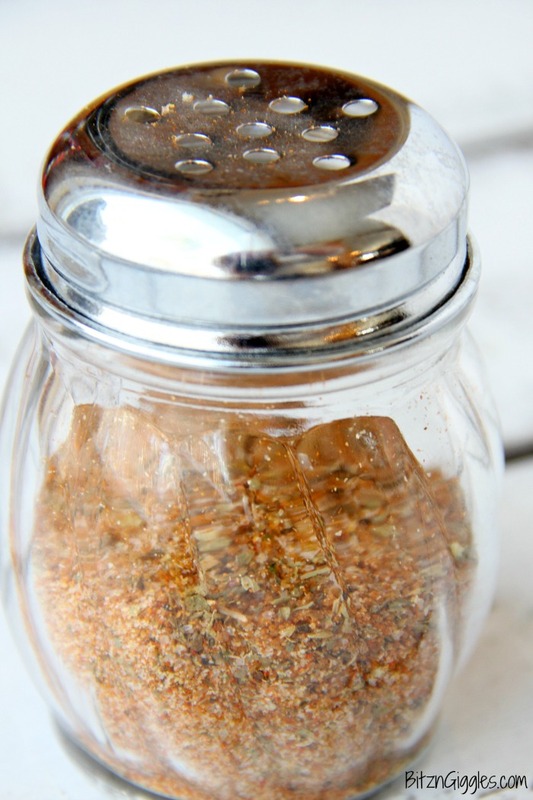 If you have a turkey fryer or air fryer, this rub is a perfect complement. You end up with a super moist chicken that has a crispy, flavorful crust. In fact, we use this rub most often when we’re using our turkey or air fryer. Even with the cayenne pepper, it’s not spicy. It’s perfect for even the little ones in the family. It just makes preparing chicken so easy. . .and delicious. The recipe makes quite a bit, so I always put mine in a shaker bottle. The shaker bottle also makes it super easy to sprinkle on the chicken. Be generous with the rub. It’s so flavorful; so good. 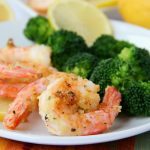 Our entire family loves this recipe and I hope you do, too! Let me know in the comments if you try it! Whether you’re grilling, roasting or air frying chicken, this dry rub adds winning flavor each and every time! Place all ingredients in air-tight storage container & enjoy! Absolutely an excellent dry rub. It can go with so many foods. I prepped the chicken with the rub and cooking it tonight and can’t wait to taste it. I hope you enjoyed it!! Thanks so much for taking time to leave a comment! Going to try this today for a chicken in my air fryer. First time doing a whole chicken. I’m anxious to hear how it turned out, Ann! Please share if you can. Thanks! Hi Ann. How did it go as I’m doing exactly the same thing tomorrow ? Could you share the brand of the air fryer you have? There are so many, and so many reviews. My husband so wants one, and I thought Black Friday would be the perfect time to get one. He specifically said he wants one that will roast a whole chicken. Thank you! Hi Jan, I have the 5.3 quart power air fryer XL. You’ll see the words air fryer linked in the post and if you click on it, it will take you to a photo of the one I have! Good luck and I hope you find one. If you’d like to roast a whole chicken, you’ll want to at least have something 5+ quarts. I love my airfryer! Mine has a rotisserie in addition to shelves that are removeable should one want to use the rotisserie or a larger something. I use to have one with a pull-out basket. It lasted about a month and stopped working It wasn’t the high end AF but it was enough to sell me on a different model. I air fry a whole large pineapple and I use the rotisserie for 45 minutes at 350 degrees. It caramelizes the outside and then gets cut into spears with maple syrup lightly drizzled over. I’m making the chicken tonight and I’ll spatchcock it first. That way I can get a larger chicken. Thanks for the chicken and the dry rub recipes. 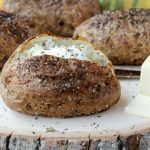 PS… get an air fryer, you really won’t be sorry! That pineapple sounds delicious, Marv! :'( No air fryer…is this like a basic season-all. Rub on and roast chicken? Yes! You can certainly use this for frying or roasting. I hope you like it! I used the recipe to include the dry rub. I had to do 2nd side for 30 minutes instead of 20. It was moist and the flavor was amazing. We are a family of 7 and it was a big hit with our family. 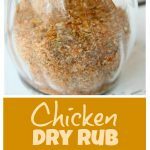 The recipe is correct, and remember, this dry rub recipe makes a big batch that can be used on multiple whole chickens. I’m hoping you didn’t put the full recipe on one chicken. I can see how that would be quite intense! If you used the correct amount and still found it salty, then just lighten up on the salt next time you prepare it! Good luck!